The next big Mario title for Nintendo is the upcoming Wii U Super Mario 3D World and it’s taking a lot of inspiration from it’s 3D Land counterpart. In a new trailer revealed during today’s Nintendo Direct, we saw so much crazy action with a little bit of the plot in which Bowser kidnaps…something that looks princess-like. You’ll see some more of the cat power-up but also you’ll see a new cloning power-up which can multiply from 2 to 4 copies of Mario, Luigi, Toad, or Peach. Even cooler is the ability to pick up what looks like Bullet boxes from Super Mario Bros. 3 to shoot enemies as well as picking up Pirahana Petes to eat enemies. Not to mention the level design looks crazier and crazier, check it out below. 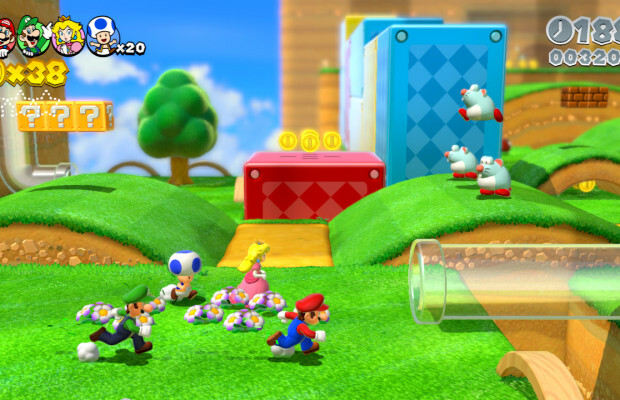 Super Mario 3D World will be hitting the Wii U on November 22.